Add an attachment to an email? You can add attachments up to 25MB in size to an email. When you begin typing an email, a formatting menu will appear at the bottom. The paperclip icon will allow you to add a file to be attached. 2. 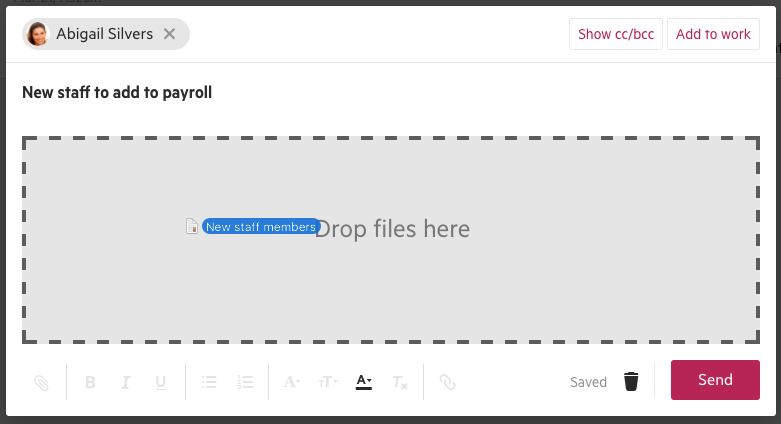 You can drag a file from your desktop, and drop it in the body of your email.